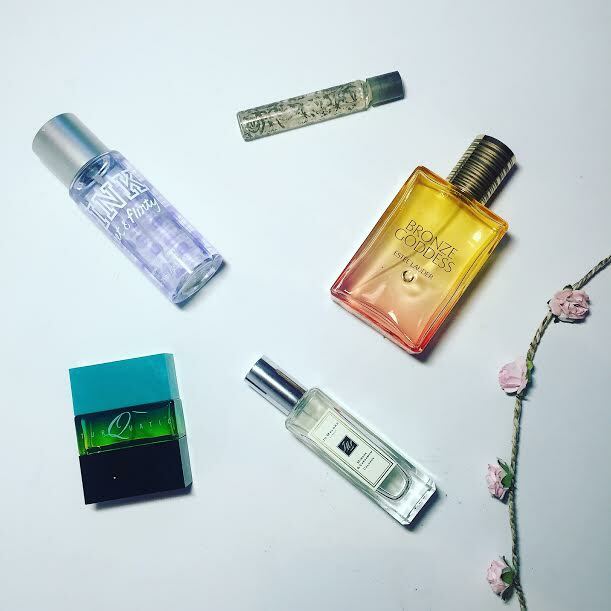 So summer is slowly coming to an end, I know I know, it barely lasted a week, but I thought I would share with you some of my favourite fragrances for this time of year. A couple of these hold really distinct memories for me, which is probably why I love wearing them so much! 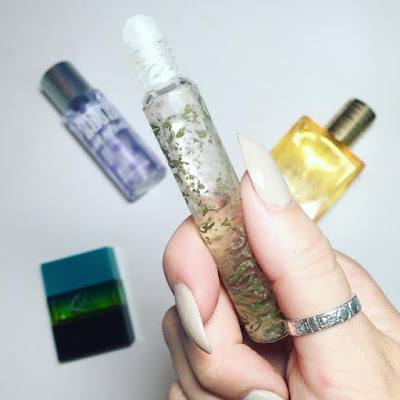 I have to say a little thank you to Kirstie, who runs a beautiful blog called Behind the Scent, as I went to her in a bit of a panic, and she was so lovely and gave me some great tips on how best to describe perfumes. So here goes! Jo Malone can do absolutely no wrong in my eyes. The whole brand oozes with luxury, and their range of cologne's, candles and body creams are the perfect gift for a loved one or, perhaps yourself. (Ok so I might be keeping the last candle I bought as a gift, it smells too good to part with.) This is their Mimosa and Cardamom cologne that was brought out in August 2015, and having forgotten to pack a perfume, I purchased this one in Duty Free on the way to Florida. It's a warm, spicy yet floral fragrance, that's perfect for daily wear, but also works beautifully when layered under another Jo Malone fragrance for evening wear. It's a really comforting scent, but it takes a good 10 minutes for the delicate hints of cherry blossom and mimosa to peek through. Well worth a spritz on your next shopping trip! When I first purchased MAC Turquatic it was a limited release for summer, so I used it really sparingly as it's such a unique and fresh scent. Luckily for me there was enough of an outcry from my fellow perfume lovers out there, (ladies, I salute you), and MAC made the very sensible decision of making this permanent last year. This is my second bottle, and I went for the cute 20ml bottle as it's the perfect size for travelling. MAC describes it as their "classic sea-inspired fragrance with notes of anemone, lotus, orris and Corsican blue cedar". Now I've not sniffed an anemone recently, so I cant tell you how true that is, but I can tell you that it's beautifully crisp and clean smelling. It's also unisex, so if you're not a fan of girly fragrances, this might be the one for you! Has a girl ever walked past you close enough that you got a little whiff of her freshly shampooed hair? (And then you start wondering if your hair smells that gloriously fruity all the time? Or is that just me again..) That is why I love VS Pink's Sweet and Flirty; it appeals to the thirteen year old me, obsessed with body sprays from Hollister and Victoria's secret, and yet it's still not too sweet. The notes are sugar berry and pink grapefruit and is described on the website as "fruity but floral". 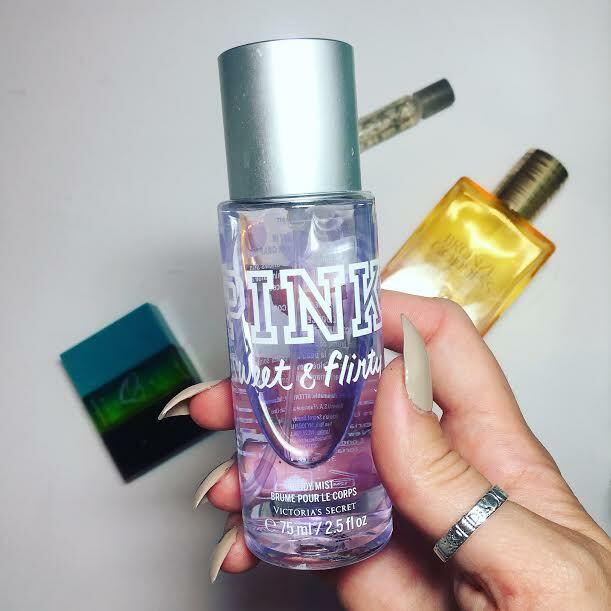 I love to spritz this over my whole body as it's really lightweight, and it makes me feel all cute and girly. ANYWAY, I was 15 at the time, and extremely scared of Bloody Mary so I treated my poor, traumatised little self to some retail therapy, which was when I purchased this rollerball. Like the name suggests, Ginger Essence has notes of "spicy ginger balanced by a citrusy twist of lemon, lime and bergamot". 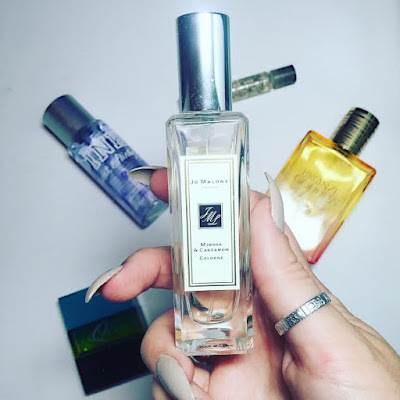 If you aren't a ginger fan, then it's probably not going to be your cup of tea, but it's a really delicate scent that gets me a lot of compliments! Last but definitely not least we have the highly coveted Bronze Goddess eau Fraiche by Estee Lauder. This stuff really is heaven in a bottle, so it's absolutely no surprise to me that it sells out every summer. 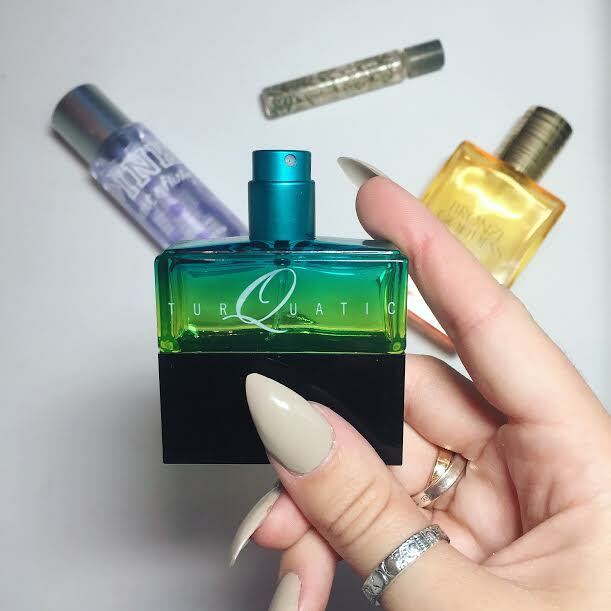 It's the newest addiction to my perfume collection, and it's already one of my favourites. (That's a big deal btw, I have A LOT of perfumes). A couple sprays of this by the shop assistant and I was transported to a tropical island; drinking a cocktail from a coconut, as the salty waves crashed at my sandy toes, the scent of my recently applied sun cream still in the air. In reality I was begging the shopping assistant to take my money so I could smother myself in this stuff forever. The sensuous notes of "Coconut, Vanilla and Mandarin, are balanced out by the radiance of the Magnolia and Tiare flower". I emplore you to find a woman that dislikes this. Oh and in the mean time? Buy it now. 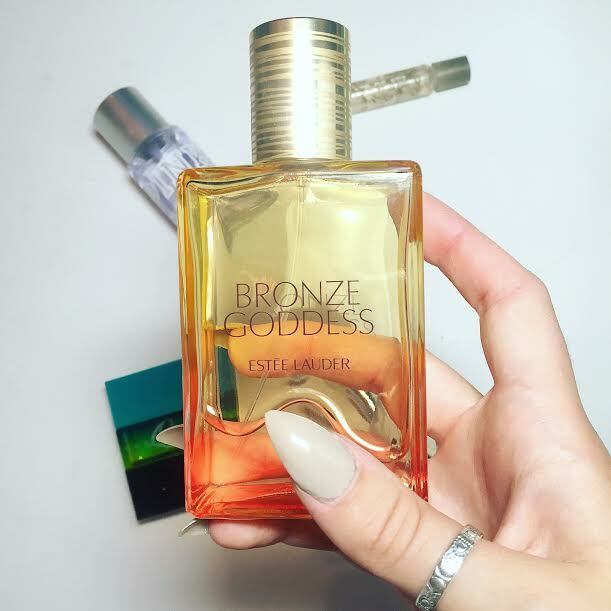 I love Bronze Goddess, it's so lovely!! I should treat myself to some next summer! I've been loving fruity body sprays this summer!! I need a new perfume and even though it's practically autumn I want the Bronze Goddess perfume! It sounds so up my street. Also well done with the descriptions of the perfumes! I would be so rubbish at it haha.